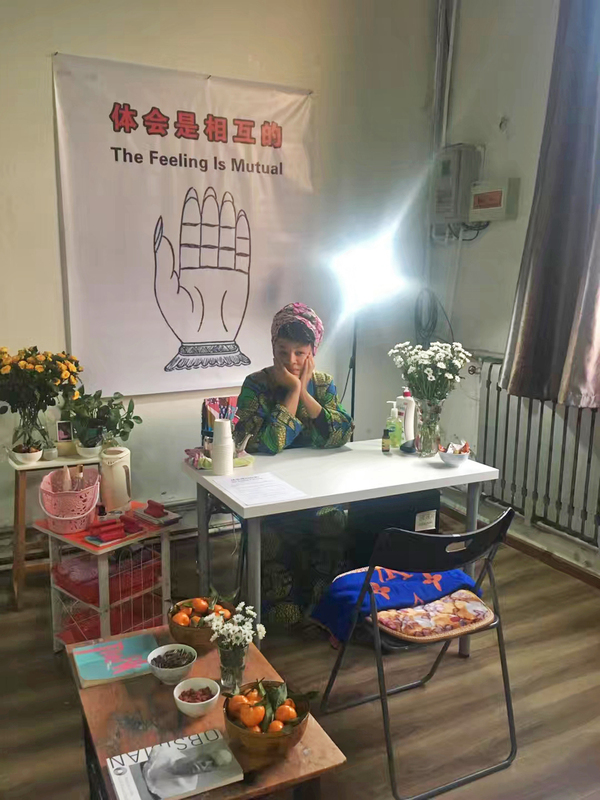 For the fifth edition of the Crystal Ruth Bell Residency, we are inviting people to apply for a fully-funded residency at Red Gate in Beijing for the months of November and December 2018. We are calling for people of all types of creative practices, of all passports, ages, gender-identities, abilities, and interests to send us proposals for projects to pursue in Beijing this winter around the verb “nourish" - in any way the word makes sense to you. Food is key to creative investigations into cultural exchange. Recipes carry inter-generational knowledge; cooking and sharing meals brings us together across cultures and borders. China Residencies celebrates its anniversaries with worldwide dumpling parties, and residencies often start off with a big welcome dinner. China is home to hundreds of complex culinarily cultures, with much more delicious and intricate histories beyond the officially-recognized Eight Great Regional Cuisines. But food production is also central to all socio-political systems, where the vast majority of those who cook for us across the world are mothers, caretakers, and the often underpaid and overworked labourers in precarious situations -- undocumented migrants, barely making minimum wage, and ever-evading crackdowns on mobile vendors. Our local and global food systems are tied into commodity markets fraught with the interlinked issues of sustainability and scarcity, accountability and deceit, cultural heritage and appropriation. Crystal baked to exchange -- to spread delight, colour, joy, and the aspects of her particular upbringing she wanted to pass on. 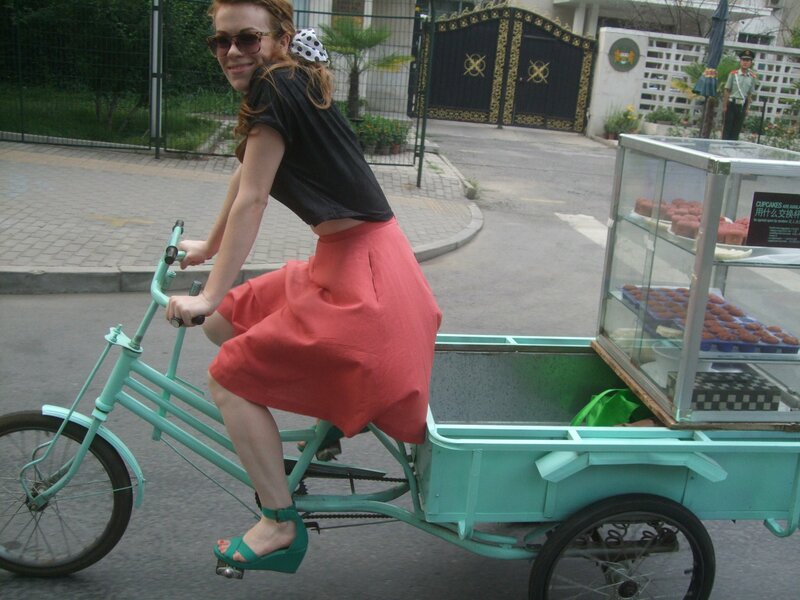 She retrofitted a sanlunche and biked through Beijing trading her hybrid treats for anything non-monetary. 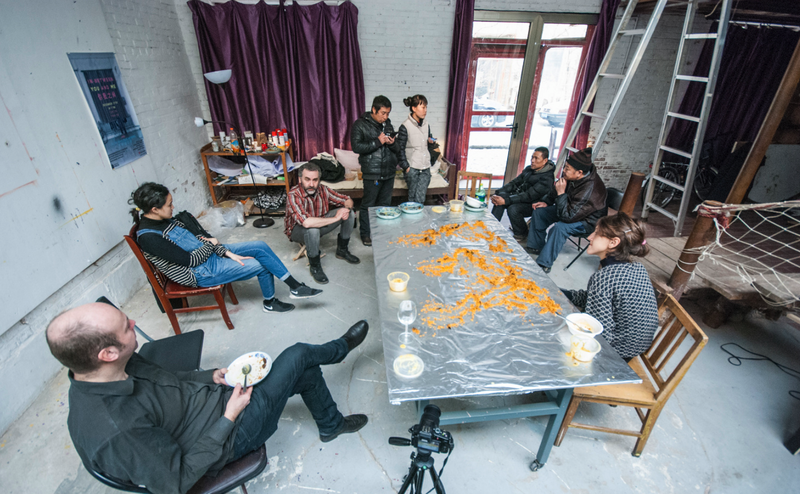 The sanlunche rode again, reprised as Kira’s ice treats exchange with crowdsourced recipes from Iran to Italy, created in the kitchens and freezers of independent art spaces across Beijing in 2016. The first resident in Crystal’s honor, Jagrut Raval, created a world map out of biriyani, inviting neighbors to each their homeland. 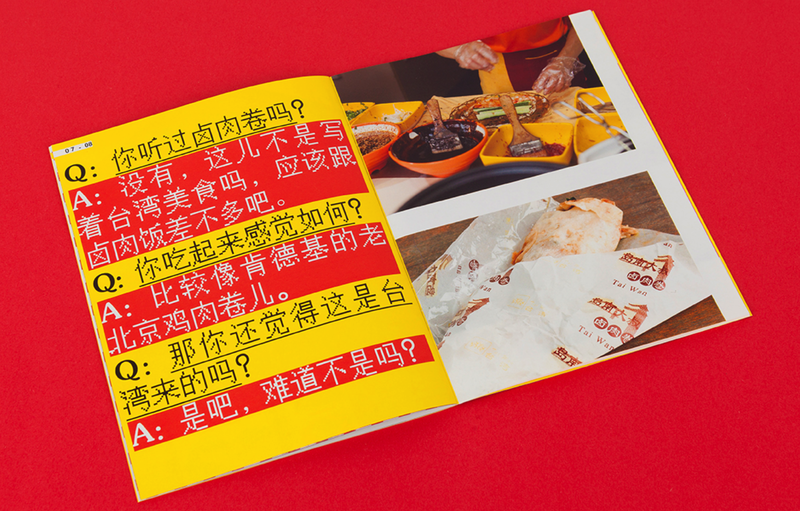 One of the zine-making collectives from the 2nd Crystal residency, Ou Chiacheng & Zhao Wanqing, documented stereotypes surrounding “Made in Taiwan” cuisine on the mainland. And last year, 4th Crystal resident LaTasha N. Nevada Diggs created rituals of care between women of color of all ages.